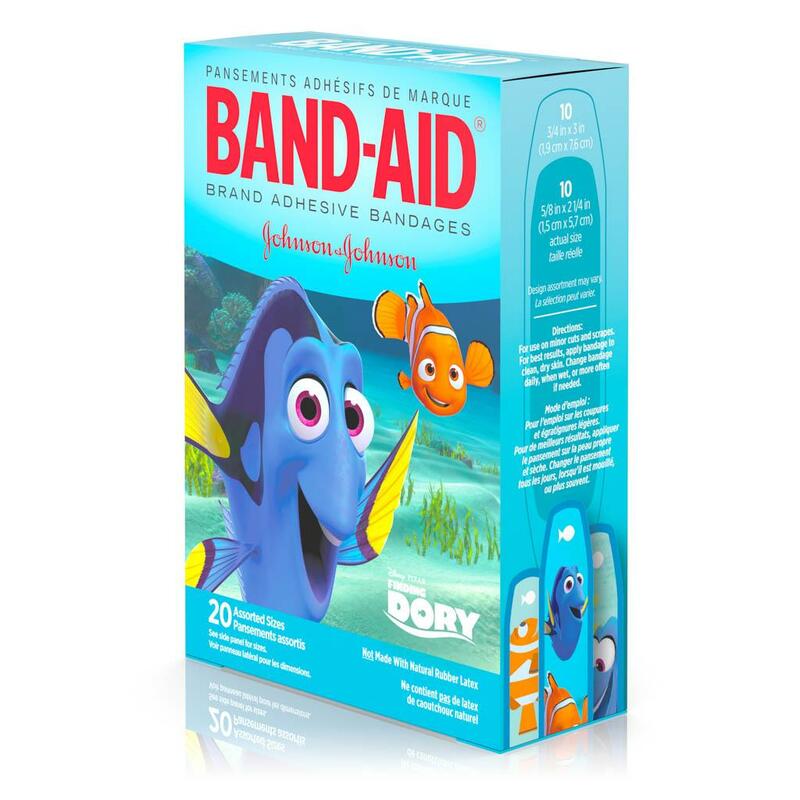 BAND-AID® Brand Adhesive Bandages for kids, featuring Disney/Pixar Finding Dory designs, cover and protect minor cuts and scrapes with fun Disney/Pixar Finding Dory graphics. 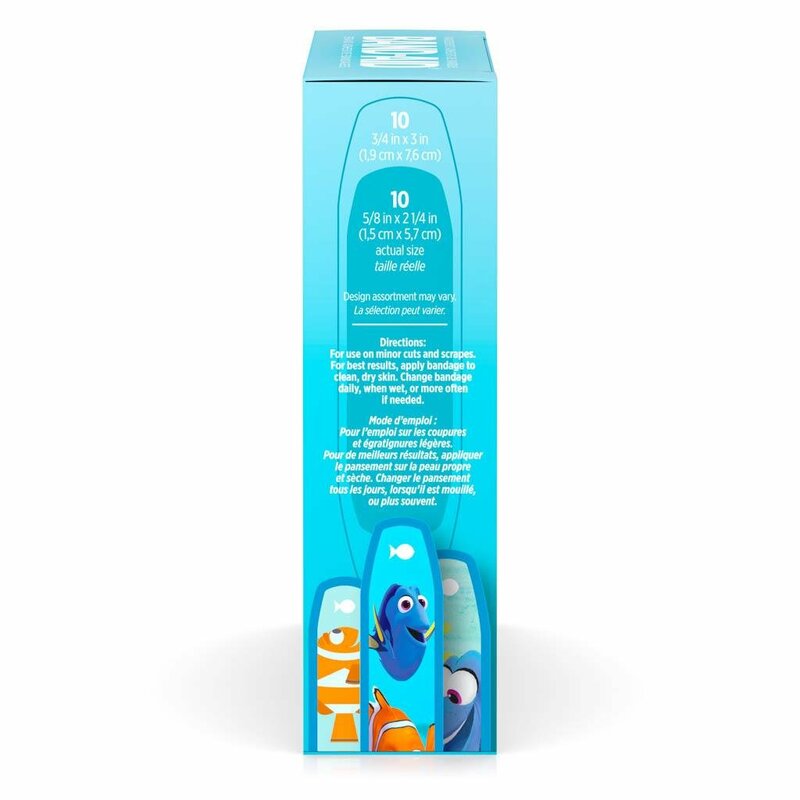 These sterile bandages come in assorted sizes with designs that include Dory, Nemo, and others. 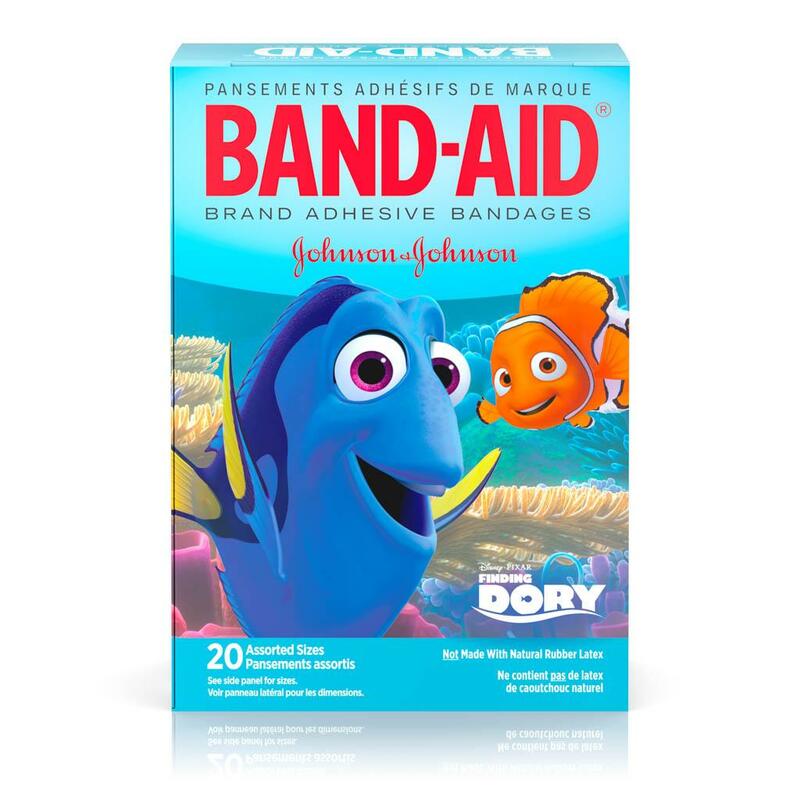 BAND-AID® Brand Adhesive Bandages stick to the skin, not the wound. 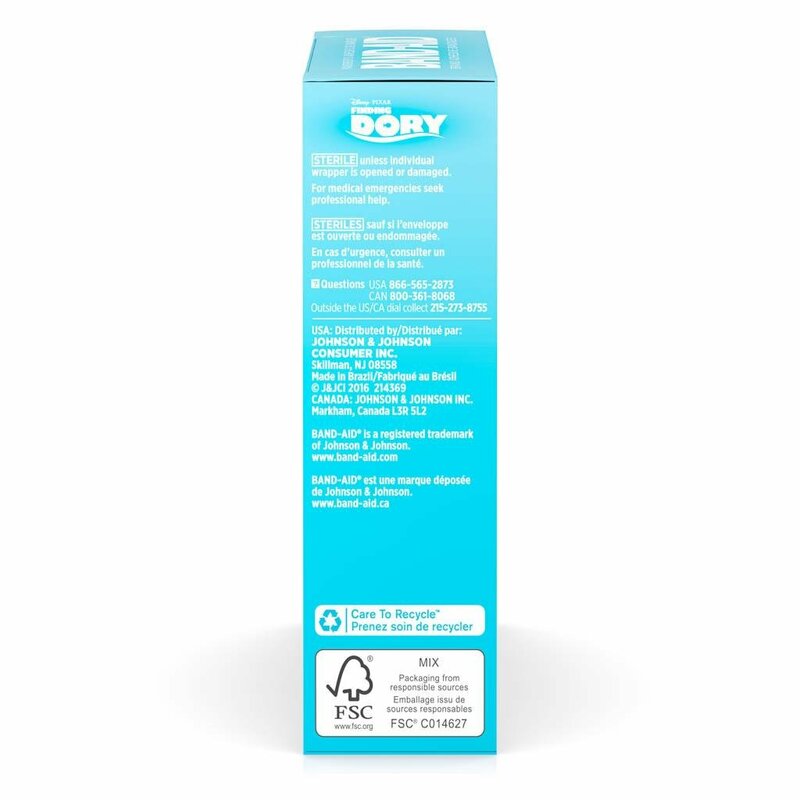 This package contains 20 sterile bandages in assorted sizes suitable for small wounds.